Despite the ever growing popularity of electronic cigarettes, personal vaporizers and mods there are still a lot of people who aren’t sure what vaping is exactly. 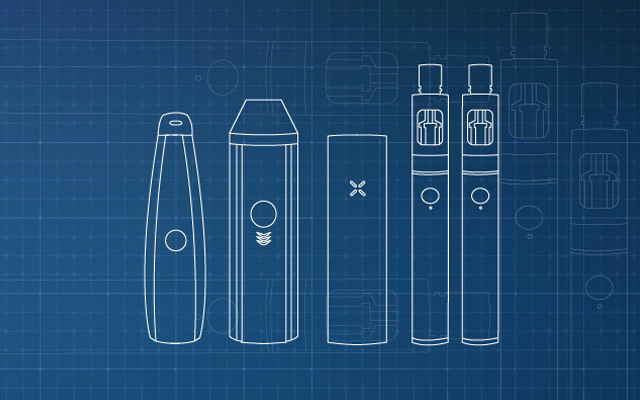 If you have questions about vaping in general, the types of devices used, side effects and what you need to get started, you will find all the answers in this full guide. Vaping is the action of inhaling vapor out of a personal vaporizer. The personal vaporizer can be e-liquid based, in which case we are talking about electronic cigarettes and mods, or it can be dry herb based or oil/wax/concentrates based. Electronic cigarettes and mods use an atomizer to vaporize the nicotine infused e-liquid into an inhalable mist. Dry herb vaporizers and oil/wax/concentrates vaporizers use conduction or convection heating to vaporize the substances found inside these materials also into inhalable mist. The most important aspect about vaping, e-cigarettes and personal vaporizers is that there is no combustion and therefore no harmful by-products like smoke, tar or ash. 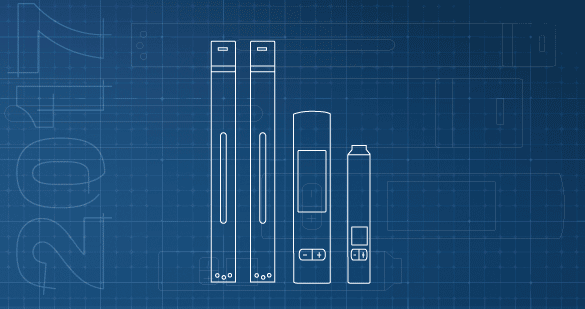 Vaporizers come in all shapes and sizes but they work in a similar manner. Electronic cigarettes and vape mods consist of a battery, an atomizer and a reservoir for the e-liquid. Each time the user presses the button or takes a puff current from the battery is used to heat up a coil surrounding the wick and e-liquid is vaporized. Which materials can be vaped? Usually the term vaping refers to e-cigarettes and e-liquids, but it’s also used for dry herb material, oils, waxes and concentrates. With electronic cigarettes, vape pens and mods that use tanks and atomizers you can only use e-liquids. Same with dry heb, waxes and concentrated devices you can only use the materials they were intended for. Vaping other substances will result in permanent damage that is usually not covered by warranty. Multipurpose vaporizers on the other hand allow user to switch between e-liquid atomizers, dry herb chambers and wax cartridges. The device changes its operating mode depending on the type of reservoir you are using and adjusts power and heating times accordingly. What is the vapor in a vaporizer? The vapor you see coming out from a vaporizer is usually a mist composed of vegetable glycerin, propylene glycol, nicotine and food grade flavorings. These are the main ingredients of most e-liquids and it’s what vapers puff on. The concentration of nicotine depends on the type of e-liquid used and the amount of vapor depends on the type of device. Cig-a-likes and pod systems give off less vapor than vape pens and more powerful box mods in combination with sub ohm tanks. What is e-juice and e-liquid? E-juice and e-liquid refer to the same substance commonly intended to be vaporized with electronic cigarettes. The main ingredients are vegetable glycerin, propylene glycol, nicotine and food grade flavorings. It’s typically defined by the VG/PG mixture and this is also a good indicator of the e-liquid’s thickness and vapor production properties. Vegetable Glycerin commonly referred to as VG or glycerol is a non-toxic substance made from plants. It is used in various other products from the food and drug industry and it serves as a dilutant. The higher the VG ratio the thicker the e-liquid and the more vapor it tends to produce. Propylene Glycol is the other main substance used in e-liquids and it also acts as a dilutant with antiseptic properties. This is also used in various other products from the pharmaceutic and food industries and is responsible for flavor and throat hit. The higher the PG ratio the thinner the e-liquid and more flavorful but less prone to producing big clouds. Nicotine is also naturally found in the leaves of some plants and it is a stimulant. It is very similar to caffeine and it’s responsible for the high people feel when inhaling vapor from e-cigarettes. It’s not dangerous in small quantities and it’s usually found in concentrations between 0 – 50mg. Flavorings found in e-liquids are the same as those from the food and drinks industry and they are non toxic for humans. They are responsible for flavor and their concentration ranges between 5 – 20%. They mostly come diluted in propylene glycol. E-liquids with the VG/PG mix of 50/50 or 60/40 are thinner and intended to be used with mouth to lung devices or low output personal vaporizers. They have a stronger throat hit but also a more intense flavor. 70/30 VG/PG represents the perfect balance between thickness, flavor and vapor production. It’s one of the most commonly used e-liquids and it works perfectly for mouth to lung device as well as sub ohm tanks and mods. 80/20 VG/PG and 90/10 VG/PG are known as high VG e-liquids and are only intended for rebuildable atomizers and high end sub ohm tanks. These liquids are very thick, and they can cause dry hits and premature damage to regular coils. Vaping has been known since ancient times. From the Greek historian Herodotus we know about the Scythians, a Eurasian people who used to throw dried cannabis plant over hot stones and inhale the fumes. Then in 1542 AD a man called Irfan Sheikh invented the hookah. And while this has nothing to do with how vaporizers these days work, it’s very similar to sub ohm vaping and it probably served as inspiration for the mods we have on the market right now. Going back to modern times, an interesting patent was filed in 1960 by Herbert A. Gilbert. The former Korean soldier presented the blueprints for the world’s first portable vaporizer known as the “Smokeless non-tobacco cigarette”. It was intended as a healthier way of enjoying tobacco and it could also be used for inhaling certain warm medications. However it is Hon Lik who is credited with the invention of the modern electronic cigarette. The Chinese pharmacist patented his device back in 2003 after the idea came to him in a dream. He released his device to the international market a year later and soon after the device began to be sold commercially. The popularity of e-cigarettes started growing steadily in the late 2000s, however it truly skyrocketed in the last years, to an estimate of around 20.8 million vapers worldwide. Compared to smoking tobacco cigarettes, vaping feels much different. It’s heavier, a bit moist but the flavor is absolutely delicious. Even tobacco e-liquid flavors taste better as they have more in common with the smell of dried leaves and less with smoke and burning. It takes some time to get used to, but once you do even the thought of smoking an actual cigarette will make you feel disgusted. Also the number of flavors available for electronic cigarettes these days are endless. From simple fruity cocktails to complex desserts and milkshakes you’re bound to find a favorite in no time. Of course these flavors feel different on different types of vaping devices, and it involves a bit of trial and error, however they make all the difference. Vaping is much lighter on the lungs, and because you can adjust the nicotine concentration it’s easy to enjoy it the whole day without the nasty side effects from smoking. You don’t have to spend a lot of money in order to take up vaping. With less than $50 you can get an e-cigarette starter kit and enough cartridges or pods to enjoy for a week. Basic starter kits usually consist of one or two batteries, a set of cartridges and a charger. Our recommendation would be to start off with something that’s easy to use and easy to refill like a cig-a-like starter kit or a pod system vaporizer. Vape pen starter kits are also great for beginners. They usually come with one or two coils and you only need a bottle of e-liquid to start vaping. These are generally easy to refill and as long as you read the user manual you’re all set for a great experience. Last but definitely not least you can also go for a box mod and a tank. These devices are a lot more powerful and sometimes more expensive but they deliver vapor and flavor like no other. Mouth to lung vaporizers tend to mimic the feel of an actual cigarette with a tighter draw and less vapor, while direct lung vaporizers are similar to hookahs. Cig-a-like starter kits, pod systems and some vape pens are mouth to lung devices while mods and tanks are usually intended for either mixed or direct lung use. The flavor of the e-liquid is one of the most important aspects of vaping. With so many brands and flavors out there it’s sometimes hard to decide. We recommend choosing a tobacco flavor at first and gradually make the transition to something sweeter. It’s also a good idea to go for a popular, high ranking brand since they invest a lot of money in order to ensure the quality of their products. As a general rule, high PG e-liquids are mostly intended for mouth to lung e-cigarettes while high VG e-liquids are more suitable for direct lung mods and vape pens. Using a high VG liquid in a low output starter kit would result in constant dry hits and coil burning since the substance is too thick to make it’s way through the tiny wicking holes in the atomizer. Similarly, using a high PG e-liquid in a sub ohm tank will result in flooding and leaking as well as a very harsh throat hit. The main type of e-cigarettes are cig-a-likes, vape pens, pod systems and mods. Cig-a-likes or two piece electronic cigarettes are very similar to their tobacco counterparts and use pre-filled cartromizers. These are pretty modest when it comes to vapor production and flavor but they are very easy to use and require low maintenance. There are also versions of these cig-a-likes that come with non rechargeable batteries and are intended to be tossed once the e-liquid has ran out or the battery died. These are often referred to as disposables. Vape pens are bigger and more powerful vaporizers than cig-a-likes. These usually consist of a battery and tank, but there are times when the tank is integrated in the body and not removable. They are extremely versatile, ranging from low output mouth to lung vapes to sub ohm devices with great vapor production and flavor. Some vape pens even use sub ohm coils and have interesting features like temperature control. 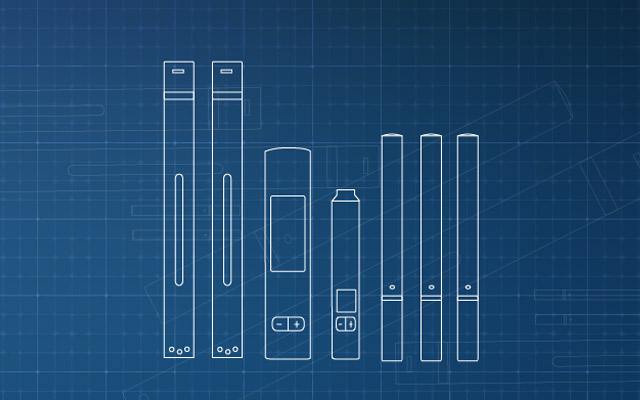 Pod systems are relatively new low output vaporizers that consist of a battery and a pods. The pod either comes pre-filled with nicotine e-liquid or is empty and has to be filled by the user. These devices usually have higher nicotine concentrations and work best with nicotine salts. They are about the same size as cig-a-likes but have a totally different design. Mods are by far the most popular and diverse category of personal vaporizers. These come in many shapes and sizes, with box mods outranking everything else. They consist of a battery which can be internal or removable and they fall in two categories: regulated mods or unregulated mods, which are also referred to as mechanical mods. Regulated mods have built-in boards, circuits and fuses and they are called this way because they regulate the power coming from the batteries. They are generally considered as safe and they work with swap-able atomizers or tanks. Regulated mods are packed with features like variable wattage, temperature control and different protections. Unregulated or mechanical mods don’t have any boards or circuits inside and they act as a casing for the battery. Each time the fire button is placed the circuit is closed and current is delivered to the atomizer according to Ohm’s Laws of electricity. Since it all depends on the type of coil and the Amp reading of the battery there are no protections involved. This makes mechanical mods very unsafe for beginners and the number one risk for explosions and violent battery venting. We do not recommend using unregulated devices until you genuinely understand how they work and what the dangers are. Dry herb vaporizers don’t have atomizers but ovens where the material gets vaporized. Here current from the battery is used to heat up a small chamber to a certain temperature where the oils inside the plant become volatile and can be inhaled. These devices can have pre-set or variable temperatures and they can work by convection heating or conduction heating. In the case of dry herb vaporizers there’s a big difference between conduction and convection. These two means of transferring heat from the battery to the plant mixture have a big impact on the overall experience because they work in dissimilar ways. 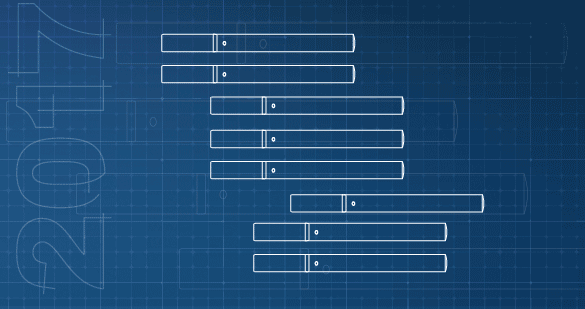 Conduction is when heat from the coil or oven is transferred to the dry herb material through direct contact. This allows for fast heat up times, and simpler technology resulting in a lower price tag. At the same time, conduction accounts for uneven energy transfer, partial combustion and having to constantly stir the mixture inside the oven. Convection heating or indirect heating is when hot air passes through the dry herb material and allows the essential oils inside to become volatile and evaporate. As the air passes evenly through the mixtures it greatly improves flavor and the duration of the session. At the same time, it might take longer for the device to reach optimum temperature and its overall price tag might be higher, since convection technology is much more complex and harder to implement. Sub ohm vaping basically means using an am atomizer or tank with the coil resistance value less than 1.0 Ohm. The lower the value, the higher the power it requires but at the same time the bigger the clouds it delivers. Sub ohm coils can also be single, double, quadruple, or octuple and depending on the number of wires inside and design they can work with wattages between 20W and 180W. 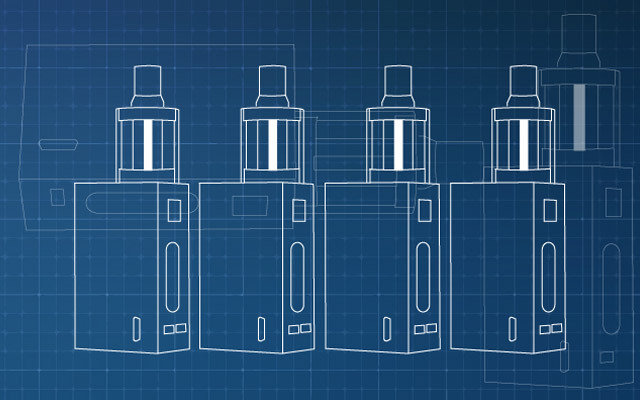 Tanks with resistances between 0.4 Ohms – 0.6 Ohms usually deliver smoother, and cooler vapor. Anything between 0.3 Ohms generally accounts for warmer and more intense vapor as well as richer flavor. Sub ohm vaping is usually intended for direct lung use, with super airy atomizers and tanks as well as temperature resistant mouthpieces because they can get very hot. Temperature control is a very cool feature of high end box mods which allows the user to control coil temperature. By setting a maximum value this will ensure the same vapor consistency and it avoids dry hits. Dry hits happen when the e-liquid gets vaporized to quickly or it’s too thick to properly soak up the wiking material. Temperature control can sense when the wick is not saturated with e-liquid and therefore stops current from heating up the coil. This prevents dry hit 99% of times and ensures a worry-free vaping experience. Temperature control only works with certain types of wire and coils like Nickel, Titanium and Stainless Steel. Except for Stainless Steel, all other materials cannot be used in regular variable wattage mode and are strictly intended for TC. Most of the time temperature control is used with sub ohm tanks and atomizers. Since vaping is relatively new, it’s hard to tell what long term effects it may cause on our health. However, according to a number of scientists and a couple recent studies it is believed to be 95% safer than smoking. This doesn’t mean vaping poses no risks, but since it doesn’t involve smoke, tar, and ash it’s free of the carcinogens regularly inhaled from cigarettes. E-liquid is commonly made out of a handful of ingredients, most of which are used in also in the medical, cosmetic and food industries. When vaporized the amount of volatile compounds is less than exhaled cigarette smoke. It may seem that on the long run, the benefits of electronic cigarettes and vaping outweigh the risks, however more in depth studies need to be performed in order to fully confirm this theory. On the negative side, vaping can act as a gateway to smoking for teens and young adults and according to a recent medical study it might have the same suppressant effect on immune system genes as tobacco cigarettes. Does vaping come with weird side effects? And what are they? Aside from allergies, which are very rare and sensitivities to certain ingredients, vaping doesn’t have too many negative side effects. The most important one is dehydration since both PG and VG are humectants. This can cause dry mouth, a sore throat and dry skin but as long as you drink plenty of water you should be fine. Vaper’s tongue is another commonly encountered side effect and it’s when an e-cigarette user doesn’t feel the flavor of a particular liquid or of a number of e-liquids. This is closely linked to dehydration and usually goes away by itself after drinking a few glasses of water. Nicotine is also responsible for some side effects, but it all depends on the concentration on style of vaping. From feeling dizzy or lightheaded to headaches, insomnia and cold sweats, these are all signs of high nicotine intake. Just lower the nic concentration of your e-liquid, take slower puffs and wait at least 10s between them.